The Late Greats Destroy Your Brain EP - Stunning. Memorable. Nice Chaps. Well done. 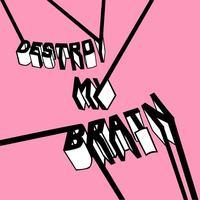 Unfortunately at this time we can't offer all the The Late Greats - Destroy My Brain EP tracks as individual mp3s, as some of these tracks exceed the shops maximum (9mins) download length.